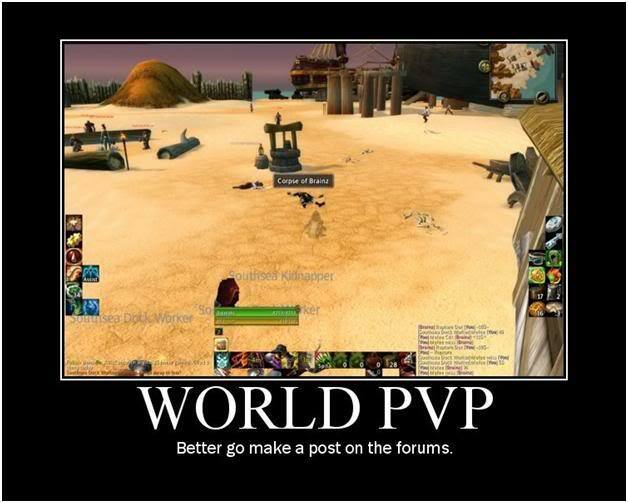 This entry was posted on April 7, 2013 at 8:03 pm and is filed under General, HFL, MMO, Podcast, PvP, World of Warcraft with tags Blizzard, Games, mists of pandaria, MMO, Podcast, PVP, Raiding, Thunder King, video games, Warcraft, World of Warcraft, WoW. You can follow any responses to this entry through the RSS 2.0 feed. You can leave a response, or trackback from your own site. I don’t want this to be like I have the truth of Blizzard in my hands or that I don’t like what you say in the podcast however I don’t agree with almost everything you said today for a reason or another. I’ll try to make arguments. – I’m not an altoholic so my perspective is a bit different (have 3 90’s but trying new classes is not something that I’m into). – I don’t like dungeons because people is just to hard to deal with there, scenarios are easier to handle. I’m not sure what is your character level at this moment but if you are 480 right now, there is no “need” of doing dailies that you don’t like. There is no gear behind dailies that are relevant to you if you reach the point where you can get into LFR ToT. Granted that you can improve with every piece of 489 or 496 from patches 5.0, 5.1. the power of your character, but you mentioned the quests from the third section in the Isle of Thunder and there is no gear behind that reputation, if you don’t like them drop them. The only thing that you need dailies for is Charms of Good Fortune (pet battle is an alternative but I’m not sure how efficient it is). Now for this Charms you only need to do 2 1/3 half days of Isle of Thunder dailies to reach the 90 cap of a week, so if you do this 3 times a week you only need to do it 9 days every 28. And talking about time, I time myself I do them in 40~50 mins, but that may be because I don’t hate them or try to them every day so I don’t burn myself with them. BTW I did experiments in gearing with my two alts and yes I buy gear in trade and AH and choose my professions in a way that I could make gold and gear for them and have friends that crafted me pieces for my alts, but I have them all ready for ToT if I wanted to get in there. And I this did with different timing so I could now how hard is to get a toon into LFR, and it isn’t that hard, my alts are over 480 and there are not revered with all the 5.0 factions, there is no need. If you want to gear, you need to sit down for a bit and see the whole picture of the gear available and do what is the best investment of time instead of going from daily hub to daily hub until you burn out. – Tier 14 is in Cross Realms now, with 489, 496 and 503 (elite). There are sites that allow you to go and find people that is running those; is 10% easier, there is people like me that have alts and know the fights and want to play. – Crafting, there are 496 cheap pieces now that the new is 522. – LFR first then the rest, is your best gear if you don’t do normals/heroics. Queues are too long? – Double/Triple dip queues: I do this Queue LFR, see the timer if it is ridiculously long I queue to dungeon and scenario, after you get into the scenario it says that your queue has paused for the other two but don’t worry it is running and you’ll see it after the scenario ends. If the queue is not that bad then I only put Scenario or Dungeon it depends on the timer, another way to wait for the queue is to do dailies but we are avoiding that. – PVP purple is better than blue. Random BG, or Arenas if you like those to do the fast cap of CP available in the game. Just to complement about Scenarios vs Dungeon. Maybe I put too much attention in what Blizzard says, I consume their words because I love what they do. But it is clear from Blizzard’s messages that Dungeons only compete with scenarios in the mind of the players; in the WoW team at Blizzard dungeon compete with Raids. You may argue that yes, maybe 16+2 then 12+2 is too many bosses for raids and that instead of some of that, maybe ToES should have been one or two dungeon for 5.2 or some part of the island could be set up as an instance changing some of the elites there into more complex encounters. However we come from 7 and 8 bosses in the previous expansion and people really didn’t like that and it is sad if you want but for Blizzard is Dungeons or Raids that is where the balance is and the end of Cataclysm was a big hit in subscribers, partly due the amount of raid content.